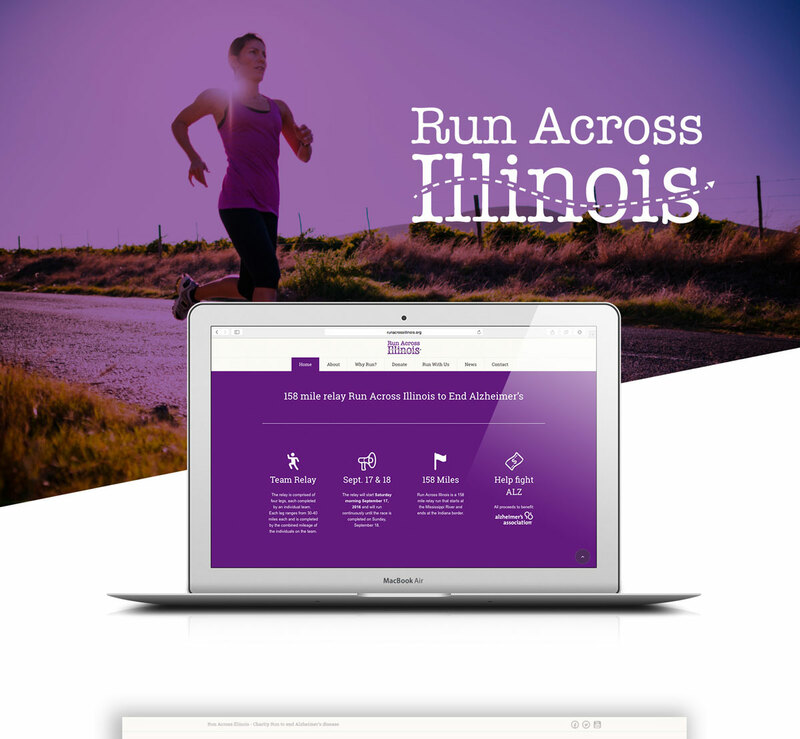 Run Across Illinois - Pivot Marketing Inc. 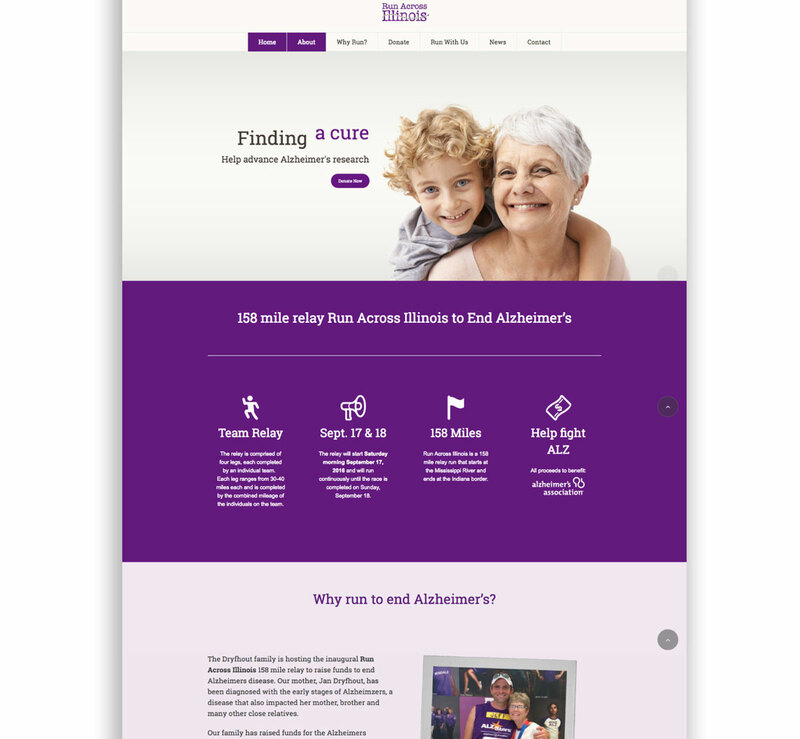 When a team wanted to setup a new charity event to raise money for Alzheimer's research, we dug in and developed an in-depth website that allows them to advertise their event, capture news and accept donations. We made a charity run...better. 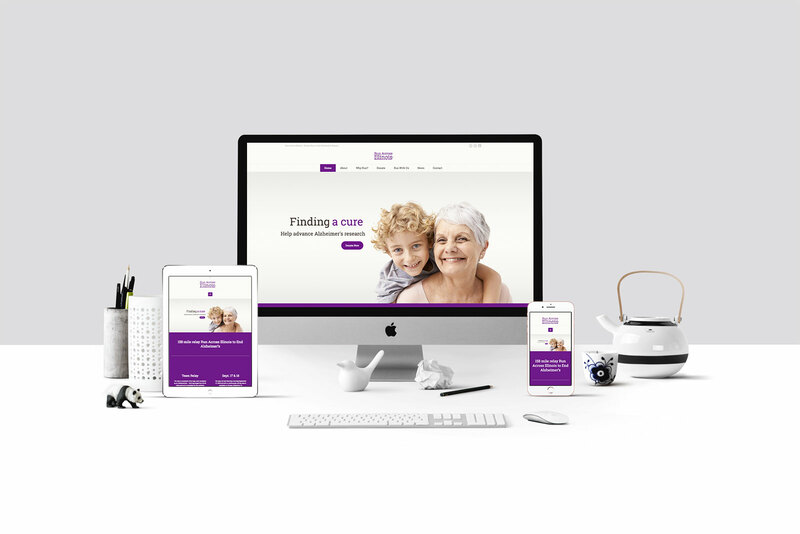 Run Across Illinois is a charity created to draw attention to families dealing with Alzheimer’s, as well as a vehicle to gain donations for Alzheimer’s research. 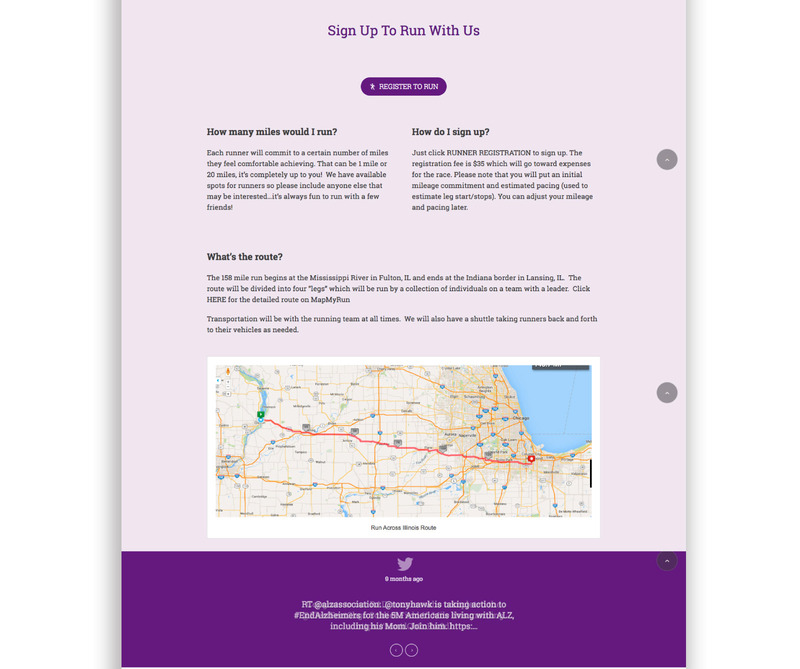 The idea: once a year, relay teams of runners traverse across the 158-mile length of Illinois from Iowa to Indiana, and people can sponsor teams or miles via donations. 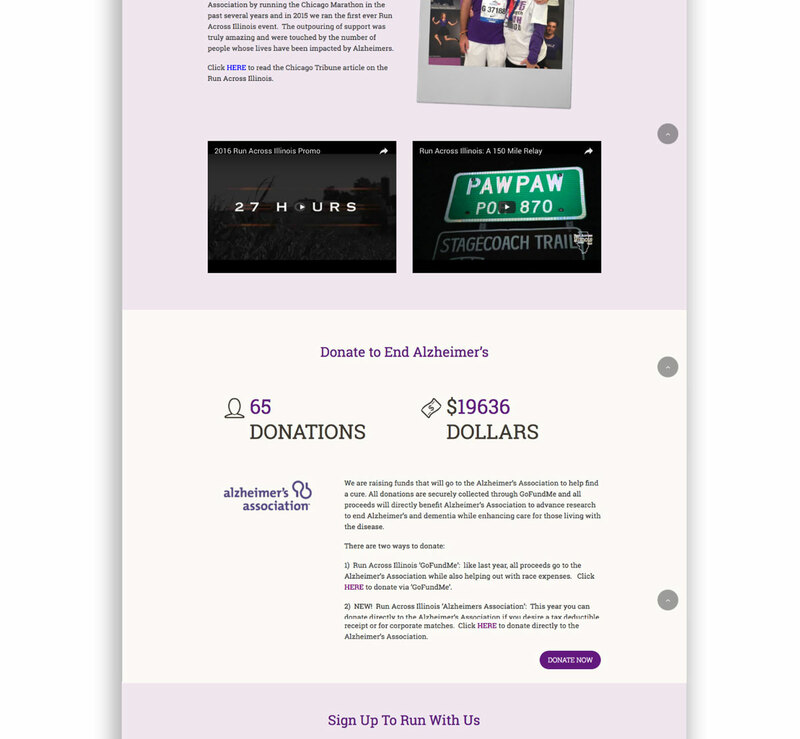 So, the event publicizes the plight of Alzheimer’s sufferers and offers a way for people to get involved in the fight. 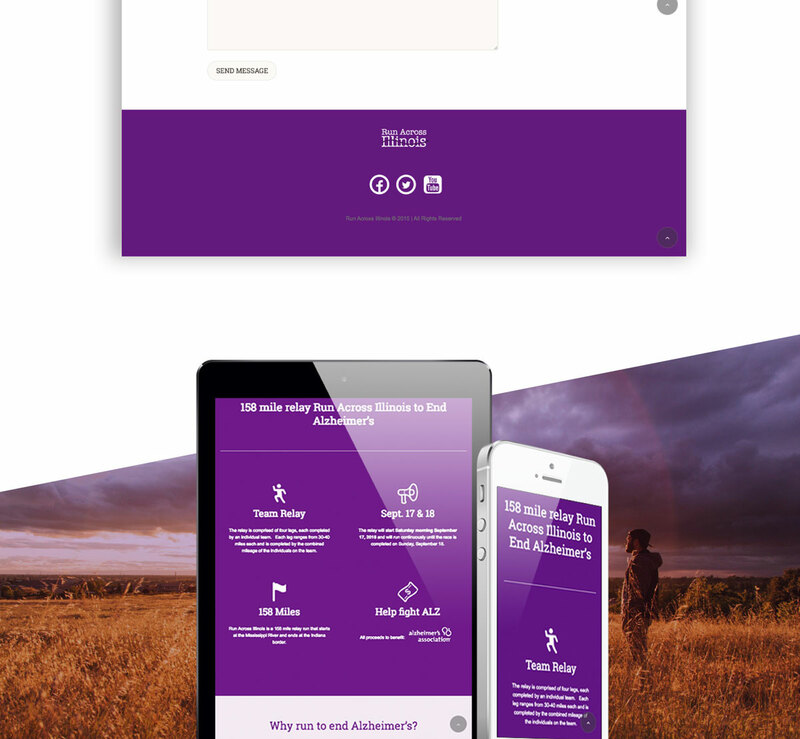 To help spread the word, we developed a comprehensive website for the organization, making it a repository for information, donations and event details, as well as a place for teams to share photos and the spirit of camaraderie that pushes people to run the equivalent of six marathons in one day.